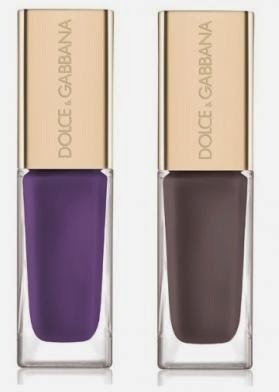 For holiday 2011 Dolce & Gabbana are coming out with two new Intense Nail Lacquers in 168 Amethyst and 230 Grey Pearl. All I have to say is I NEED BOTH OF THEM! NOW!!!! The problem of course is they are not sold in Canada to my knowledge. May have to somehow track these two beauties down! The only place I know where these will be available is Saks Fifth Avenue and they will retail for $20.00 each.